Mental health is state of physical, mental and social wellbeing which is allows everyone to live productively in social and financial context so that they can contribute to their community. In 2013 mmental health is still remaining as a serious problem in Indonesia. Many people with mental disorder. About 18.2 % people with mental disorder in rural area were experienced pasung, as well as 10.2 % of people who lived in urban area. Mental disorder is commonly occurred when a person failed to cope and facing the life situations. It needs a right coping strategy to prevent any mental disorder. The purpose of this study is to Â find out peopleâ€™s perception about mental health and the chosen of coping strategy. 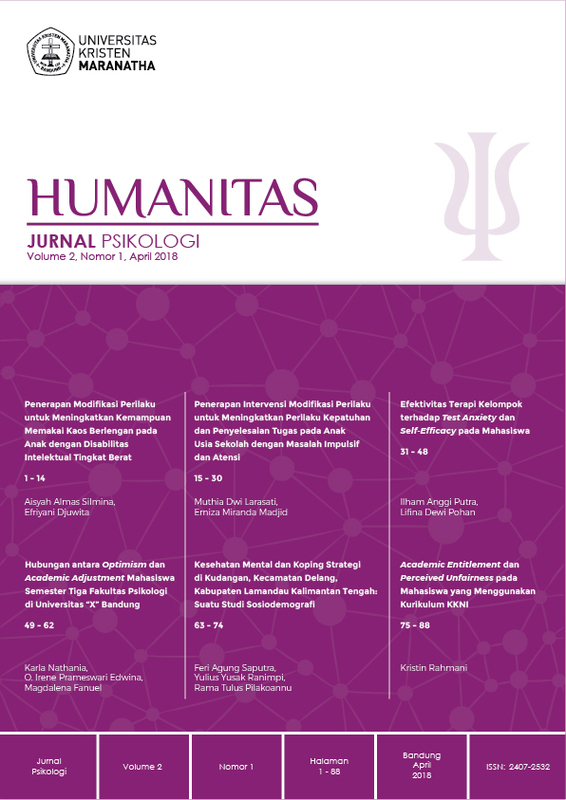 This study used a qualitative method with fenomenology study design conducted in Kudangan, Delang, lamandau district, central Borneo. Research do itÂ from June to July 2017. Eight participant research were included in this study which was determined through purposive sampling technique. Data collection is done by field research (field research) that is by passive observation and deep interview with semi structured form. The data were then processed and analyzed using phenomenological analysis. The result of this research is the finding of 6 categories related to participant's perception of mental health, realize self ability, attachment between self and environment, and coping strategy.